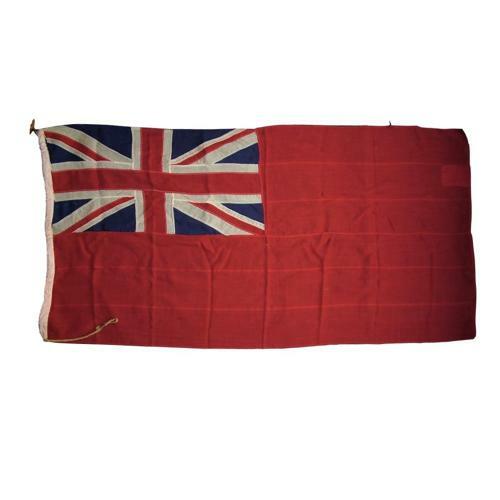 The Red Ensign or 'Red Duster' as it is sometimes known originated in the early 17th Century. It was flown by the Royal Navy and later adopted by British merchantmen to be flown as the civil ensign of the British merchant fleet. Approximately 86 x 176cm (34 x 69"). This example has some small fray holes and a period patch on the trailing edge but is in good '+' used condition overall. No markings. Complete with jute rope and wooden toggle. Stock code M23015.